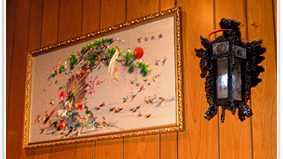 Our menu consists of over sixty entrees, including traditional Chinese dishes and American classics. We offer a variety of combinations for both individuals and families. The prices are modest and most of our dishes are made from scratch.